From Organ Pipe Cactus National Monument we travel north on Route 85 to Ajo(Ah-Hoe). We love stopping here, walking around the square, and maybe a little lunch at the Oasis Cafe. Jan had a Hot Roast Beef sandwich , and I had a wonderful Reuben. 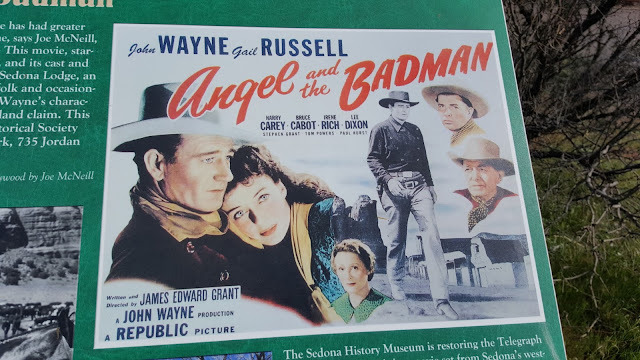 The night's stop is in Gila Bend and since it is so hot, we change southern plans and decide to head north to The Escapee Park in Congress, Arizona and then on to Sedona where the elevation is over 4,000 feet. We calculate minus 4 degrees for every 1,000 feet-----or cooler!! 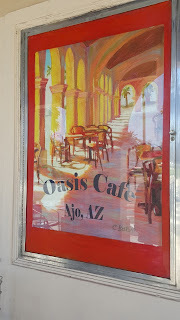 The route from Gila Bend was Route 85 to Route 10 east to Route 303 north(west of Phoenix)to Route 60 north to Wickenburg and then Route 89 north to Congress. From Congress we followed Route 89 north to state route 10 (truck route) to Kirkland and then Prescott. 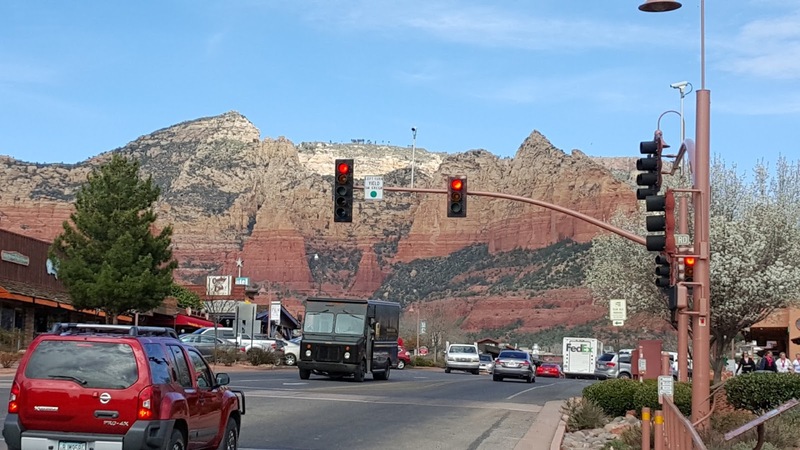 Route 169 out of Prescott headed us over to Route 17 north to Route 179 heading into Sedona. Our first stop is at the Red Rock Ranger Station for the Coconino National Forest. 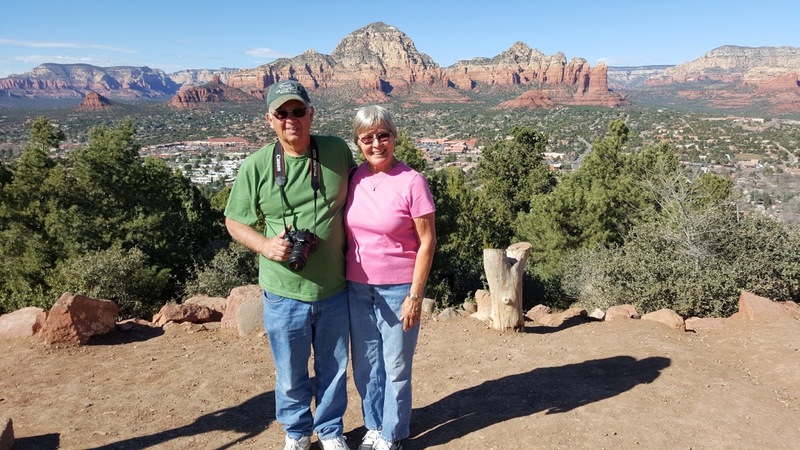 They were very helpful in suggesting boondocking sites on the forest roads near Sedona. 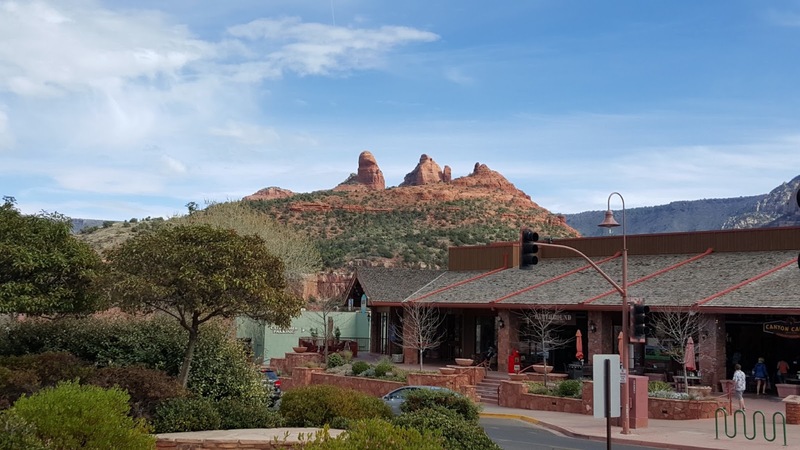 The site they suggested was just about 10 or 12 miles from the center of Sedona. This was our view from the back window. Even better, we were off of a paved road rather than a dusty dirt road. For distance, you can look for the road heading off above the pictures. We boondocked here for four nights. Great spot!! Since we were parked beside a path, on one day we had visitors come by on horseback. The path goes well to the side of Lady Blue. 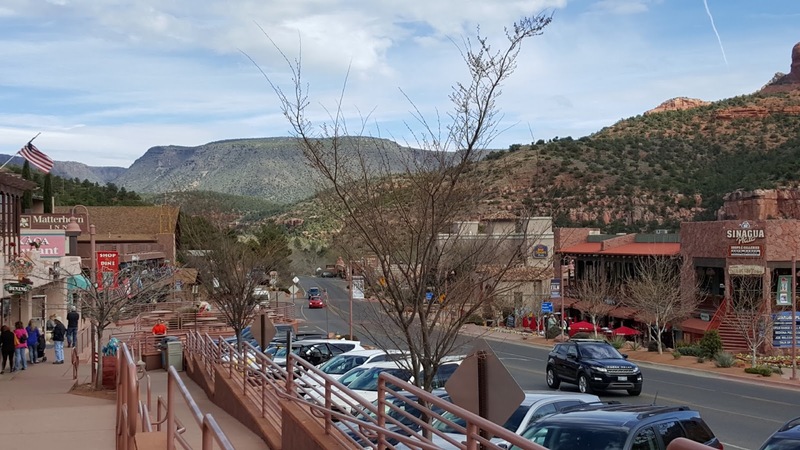 This view is from Main Street in Sedona. Everywhere are views of the red rocks. The town and the buildings are designed to mesh with the surroundings. A number of the movie stars would gather each night at the Cowboy Club Grille . Check this link for all the 1940's movie stars that visited this restaurant. Cowboy Club Scroll down to read the story and see the names. Jan and I from the viewpoint by the airport.